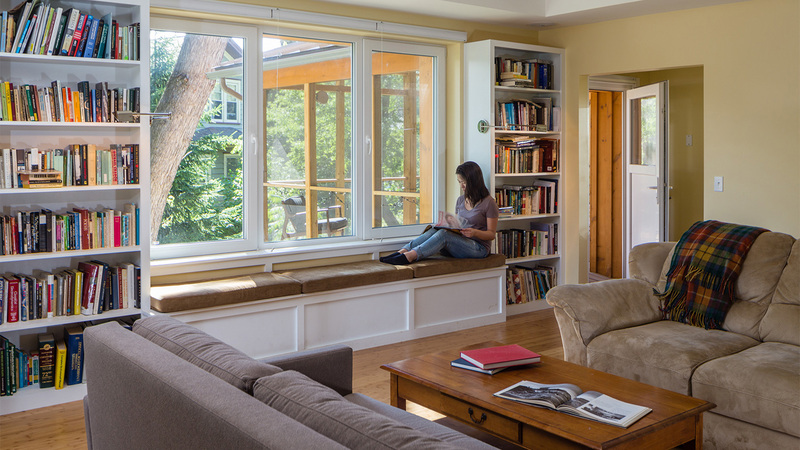 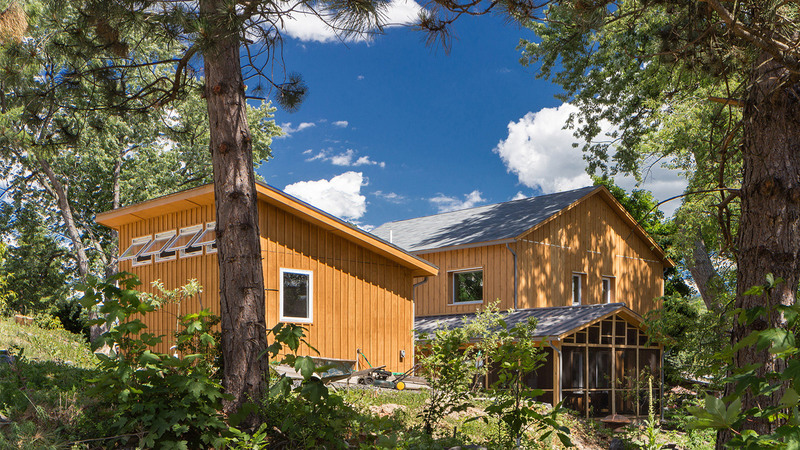 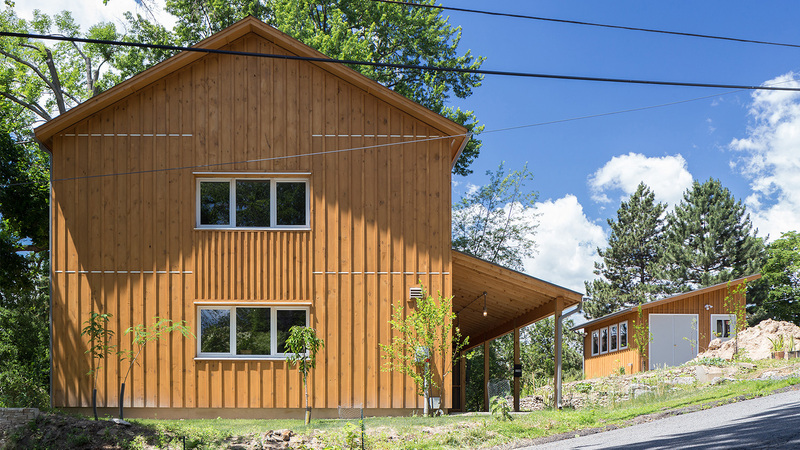 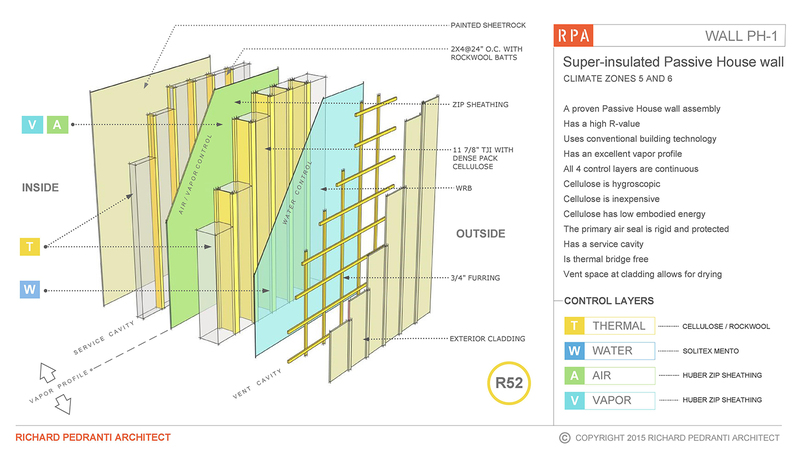 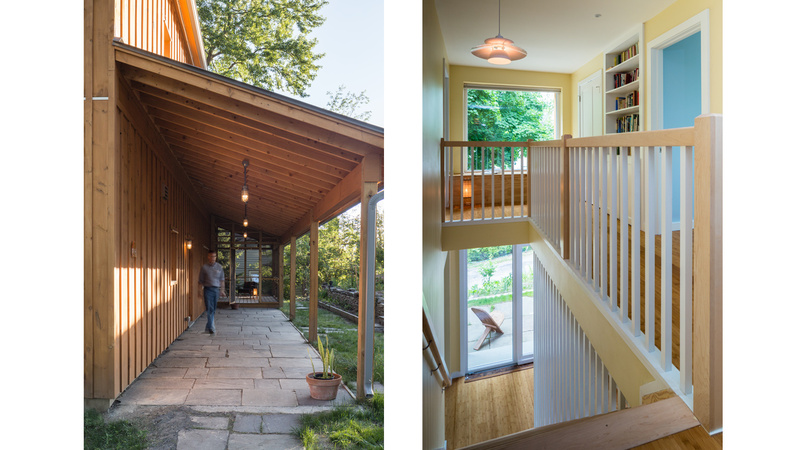 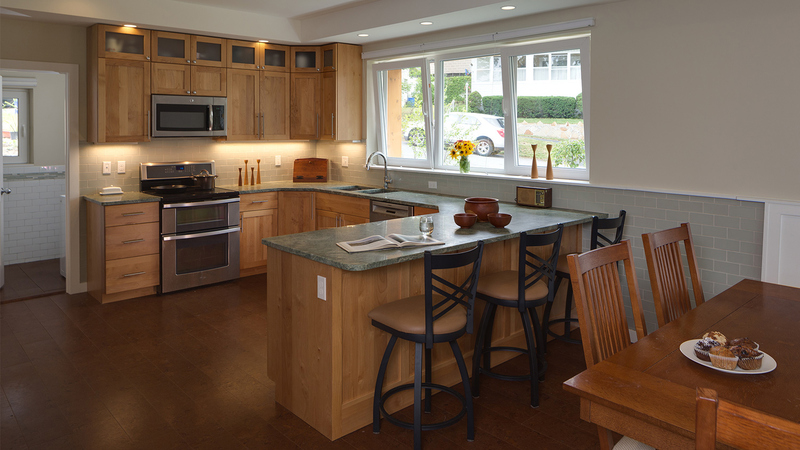 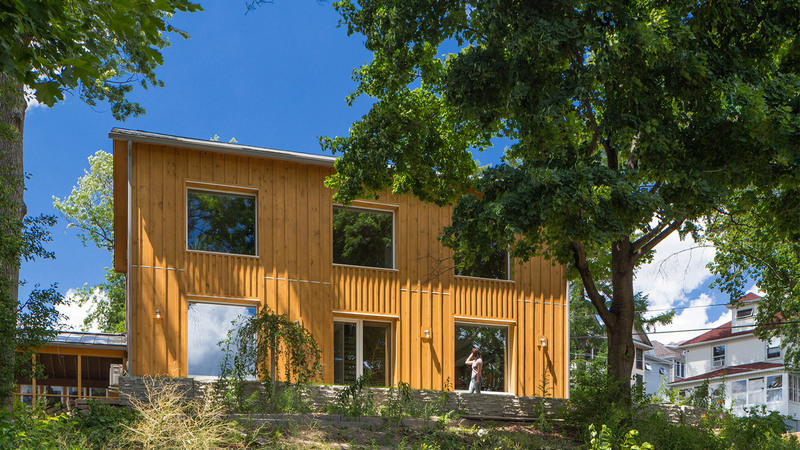 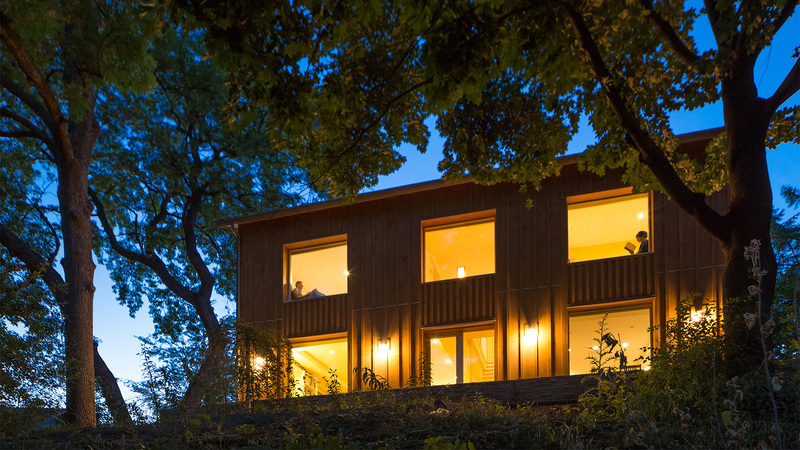 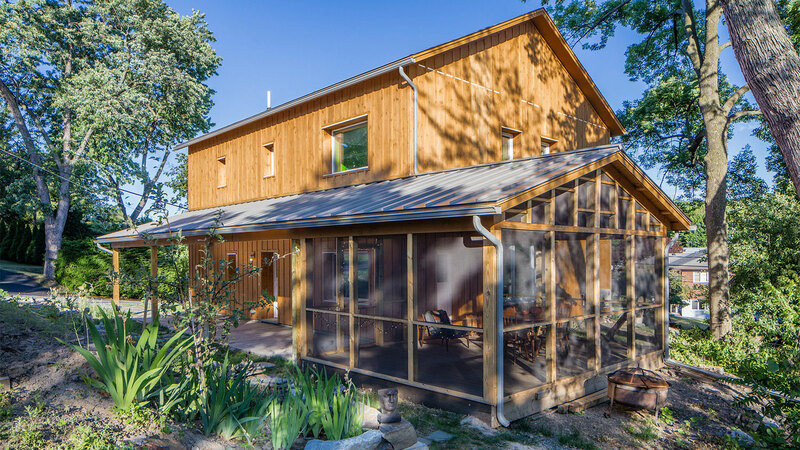 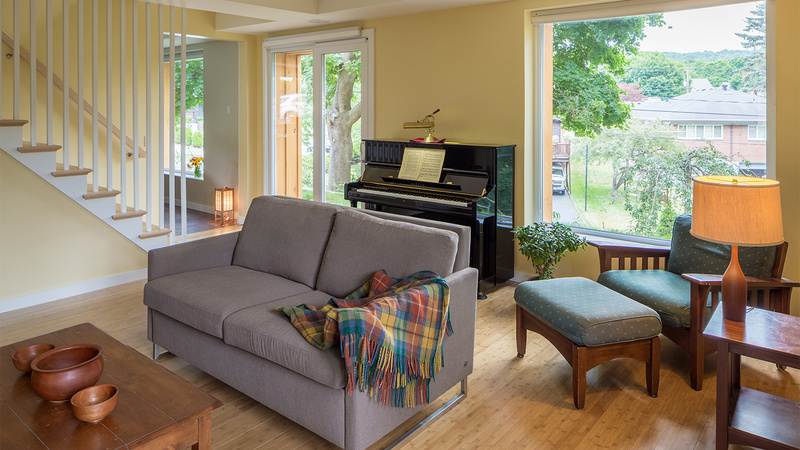 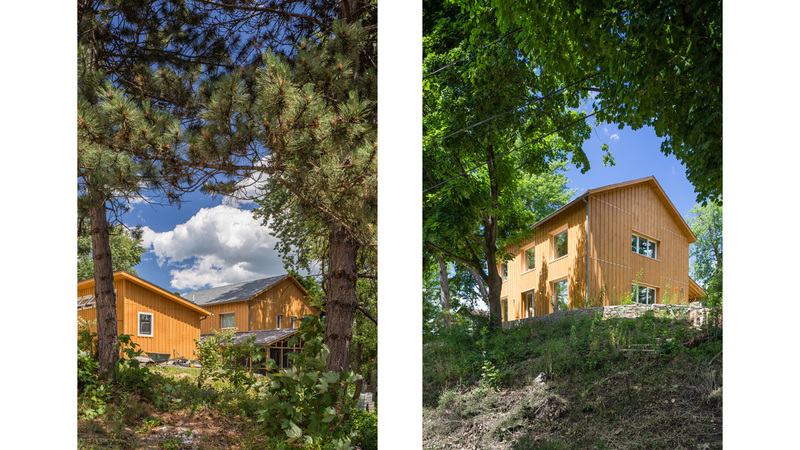 The Scranton Passive House is Northeastern Pennsylvania’s first residence designed and constructed to meet the rigorous Passive House standard. 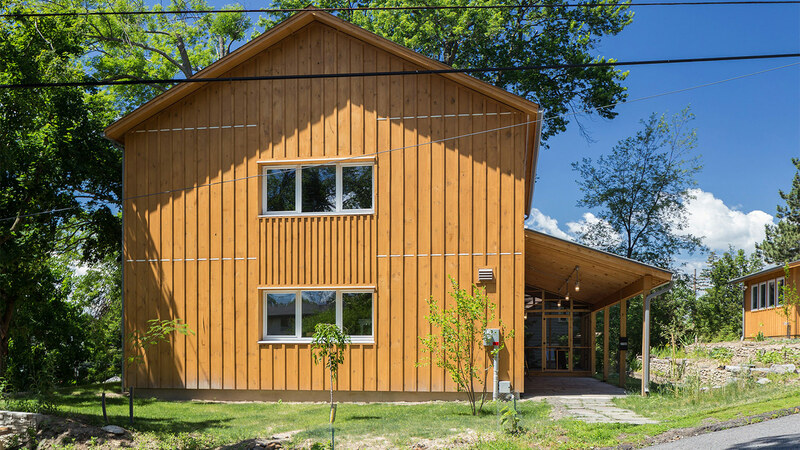 The residence is home for two University of Scranton professors and their teenage children. 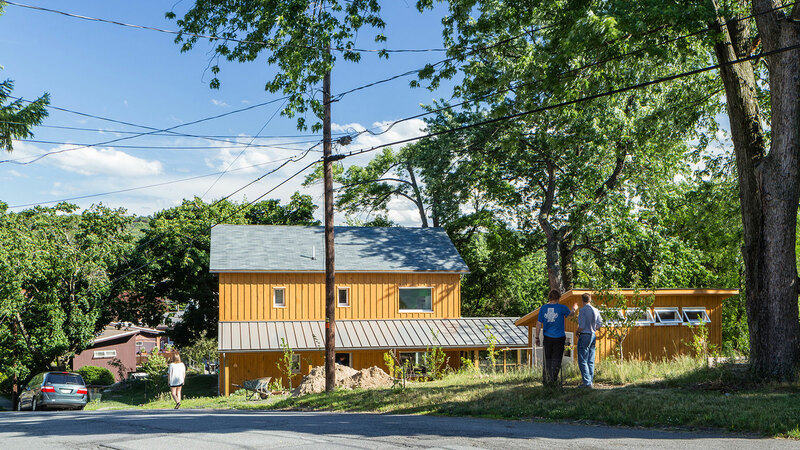 Located on a gently sloping city lot in the hill section of Scranton with east and south views, the site has excellent access to free energy from the sun. 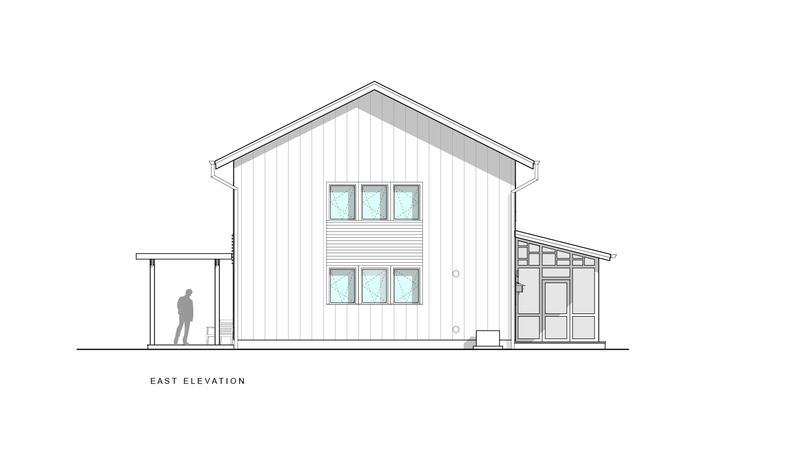 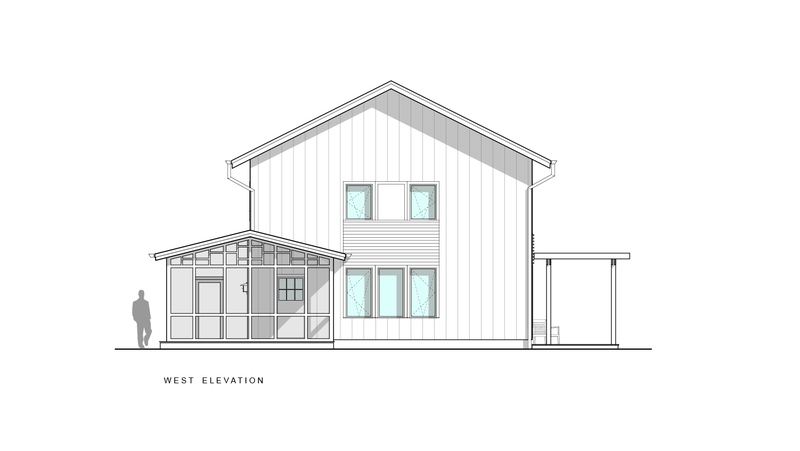 The first floor has an open kitchen, dining, and living space along with a mudroom, office, powder room, laundry room, and mechanical room. 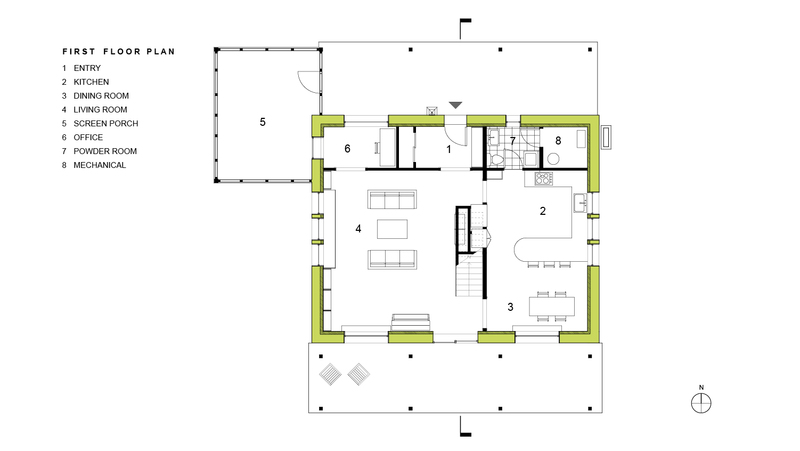 The second floor has 3 bedrooms, 2 baths, and a den. 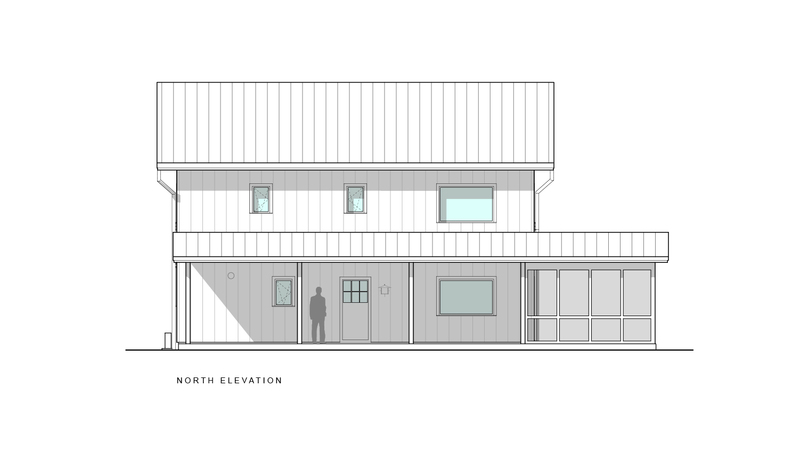 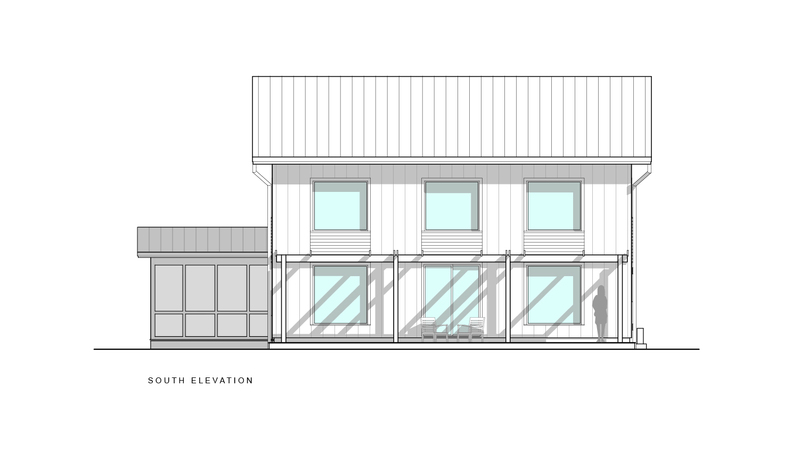 A generous front porch on the north side of the home is connected to a large screened porch on the northwest corner. 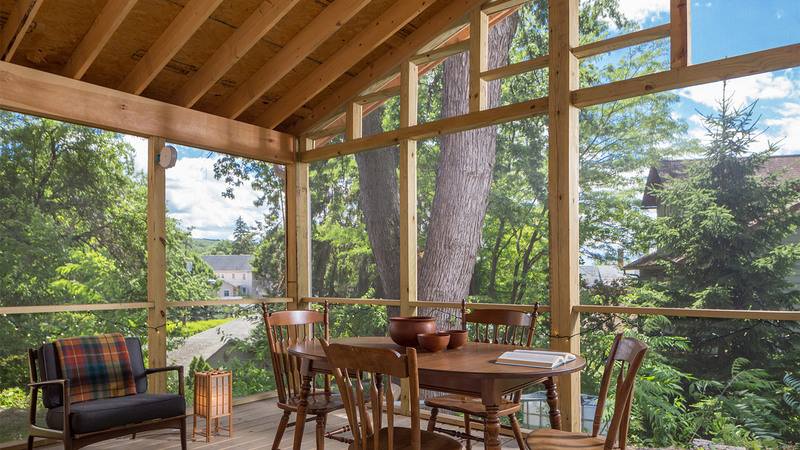 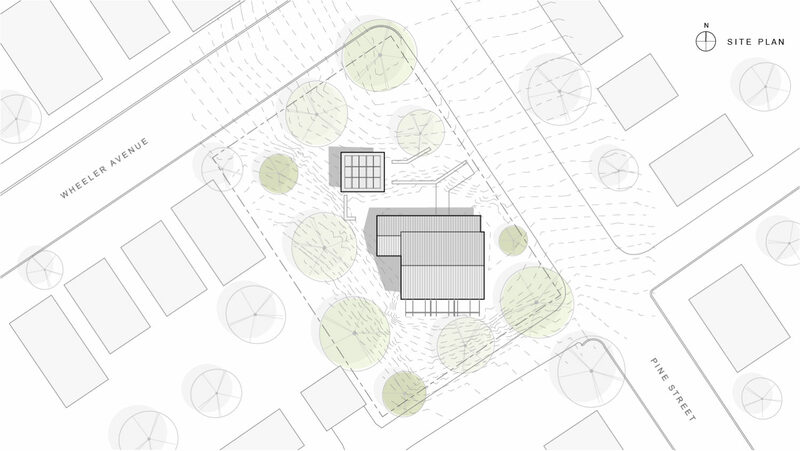 An arbor across the south side provides summer shading and an outdoor porch overlooking the neighborhood. 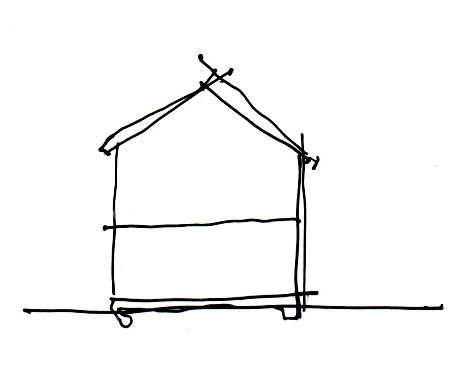 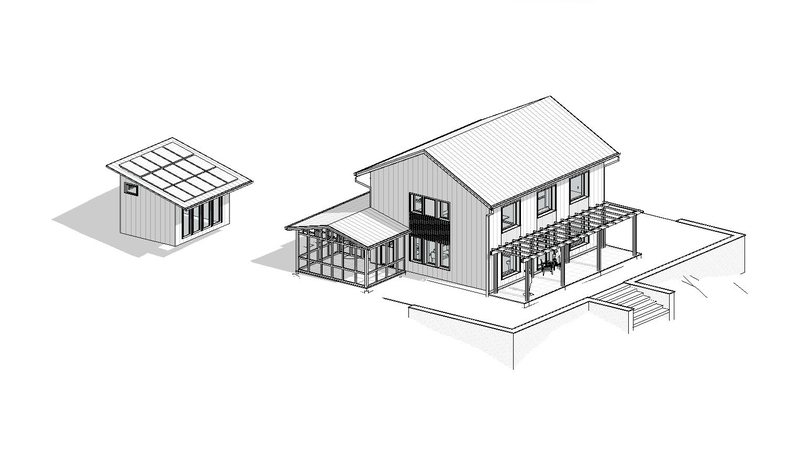 A garden shed to the northwest of the screened porch will accommodate solar panels to produce enough on-site energy to achieve net zero energy status in the future. 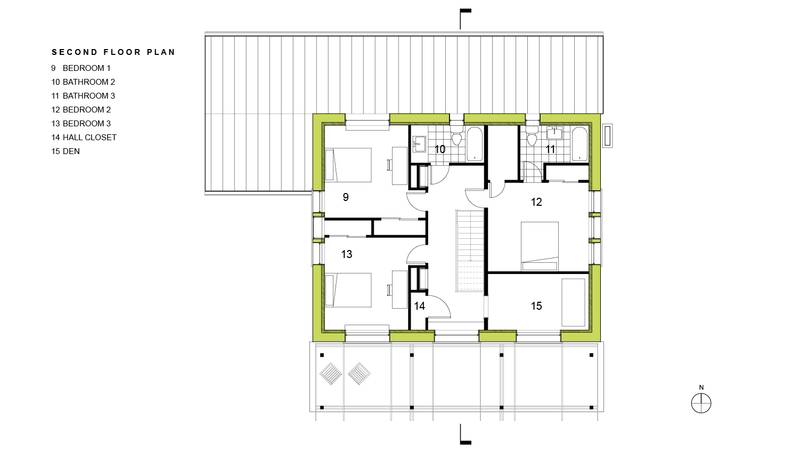 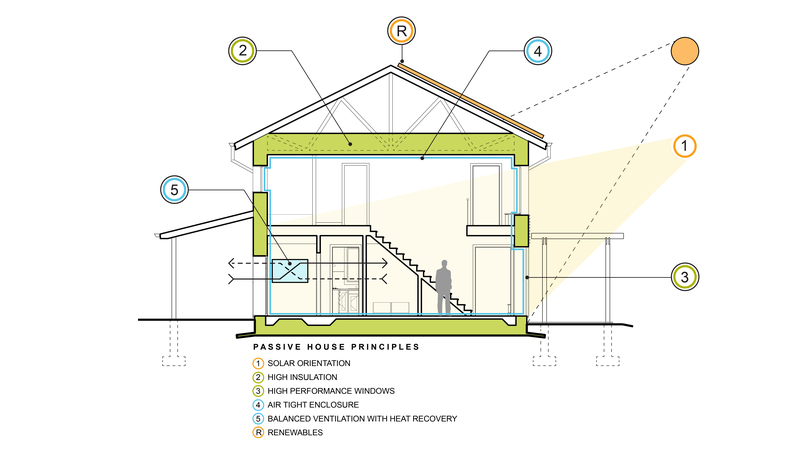 The new home meets the rigorous Passive House standard ensuring the most comfortable and healthy indoor environment available.